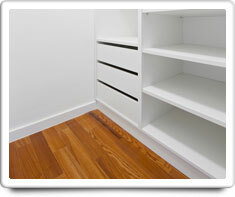 Closets are areas of your home for storage of clothing and household items. Most closets have doors or curtains to close them off, and the size of Closets can vary from having just several shelves, to being large enough to walk in and have seating areas. Shown in the 'Routine Care' section are the recommended routine maintenance tasks for your closets. The 'Q & A' section shows answers to common questions. And the 'Articles' section provides helpful articles about your closets.